This client is a sizable, national not-for-profit organisation. 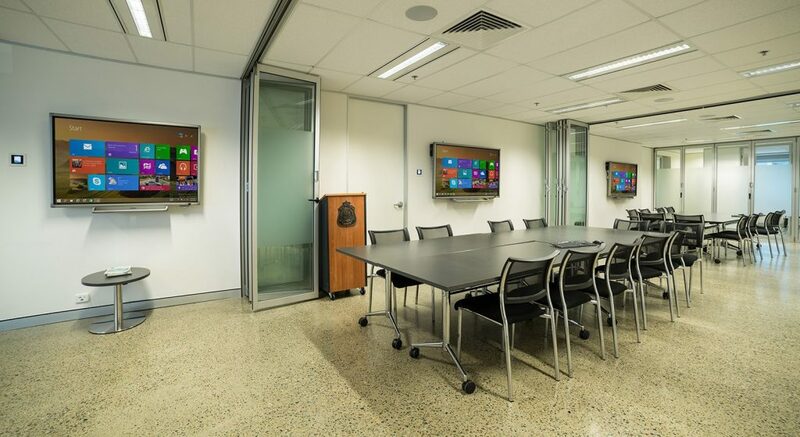 In their Queensland Head Office, the main staff-meeting area makes use of roller-partitions to convert one long room into three separate rooms. They wanted an agile presentation system for use in both configurations. 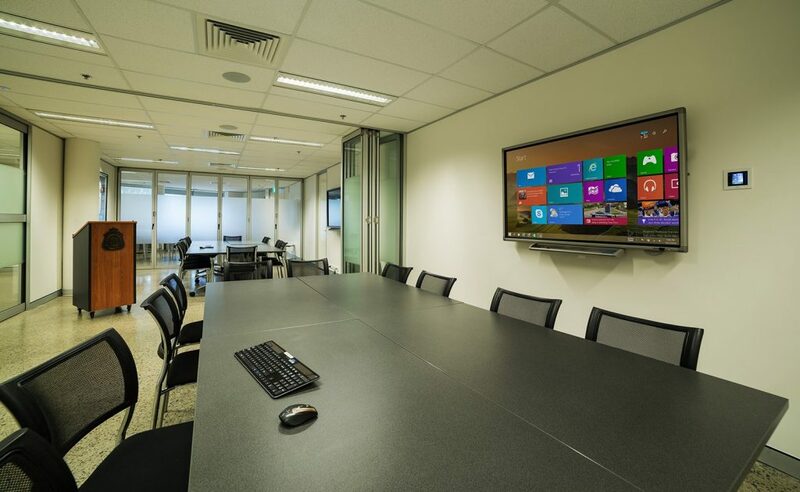 This meant the interactive presentation devices to be installed needed the capacity to either ‘mirror’ each other so that all screens display the same material, or display separate material individually. 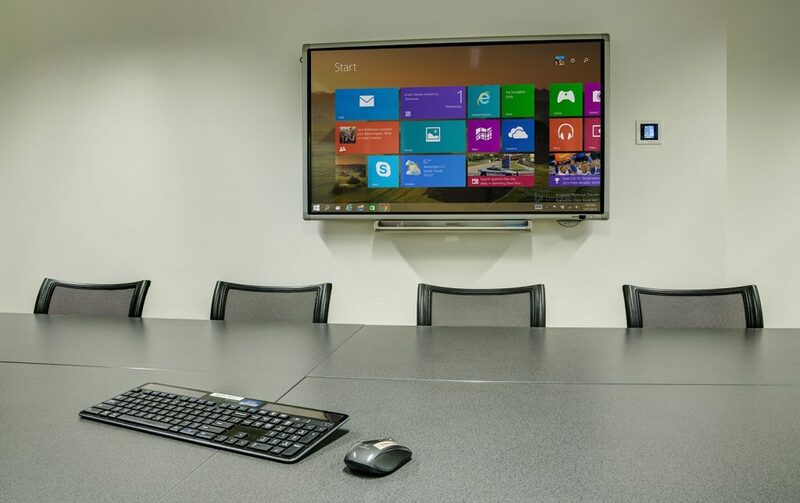 We opted for 3 X 60” interactive LCD panels by Sharp: They are robust with plenty of good features. 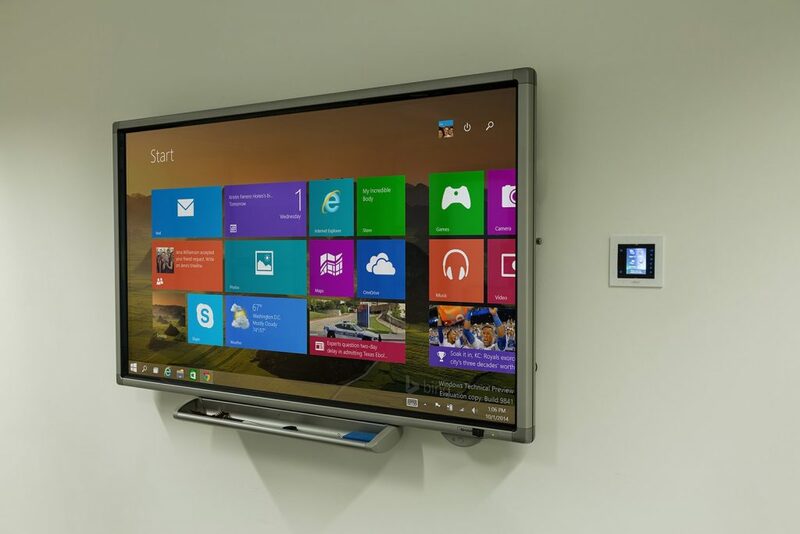 We needed a means whereby each panel could be controlled individually using designated controllers, or all three could be operated from a single controller: RTI Touchscreen controllers were chosen. Adopting a control philosophy akin to those we use automating residences, we programmed the touch-screen interfaces with single-touch-set-up for most functions: This done via bright icons with minimalist supporting text. When in individual mode, each panel is controlled by its’ own touch-screen mounted next to the panel, but, when operating in mirror-mode, this is over-ridden by a set of commands programmed into the touch-screen next to the centre panel. In mirror mode all the screens are controlled from the central controller providing three screens of the same material across the long wall of room which is very wide but not very deep. Each of the three screens commands its’ own audio zone comprised of two 80W ceiling mounted speakers. Of course these zones assign to the same configurations as the screens, such that all three pairs play the same audio when the system operates in unified mode, or only play the audio relating to their paired panel otherwise.